On May 28, the vExperts 2013 are announced. John Troyer, Corey Romero and the VMware Social Media & Community Team have named 581 vExperts. I am very honored and humbled to have been selected for my (modest) contribution to the amazing VMware community. I would like to thank all of you for making this possible. 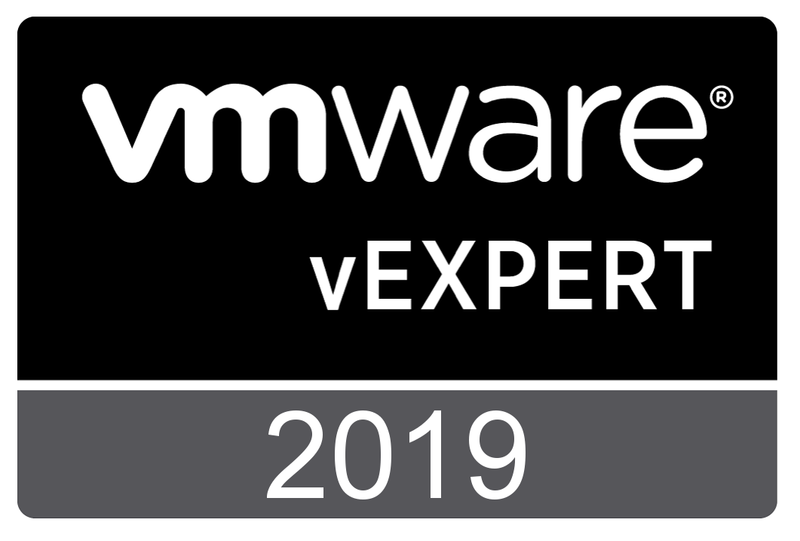 Congratulations to all the other vExperts! The announcement and the complete list of vExperts can be found here. Today, Dell released Foglight for Virtualization, Free Edition 6.5.2. The vOPS Server products have been rebranded to the Foglight product line. Foglight for Virtualization, Free Edition is the new name for: vOPS Server Explorer. Foglight for Virtualization, Standard Edition is the new name for: vOPS Server Standard. vFoglight is now Foglight for Virtualization, Enterprise Edition . vFoglight Storage is now Foglight for Storage Management. Environment Explorer, provides at-a-glance information about performance, efficiency and capacity. vScope Explorer, offers immediate identification of VMs, hosts and datastores suffering performance, capacity and efficiency issues. Search VM Explorer, delivers search capabilities, similar to Google, of the virtual environment. Storage Explorer, assesses storage performance and capacity across datastores and VMs. Change Explorer, lists all changes that occur in a virtual environment, and provides associated risk impact. Foglight for Virtualization, Free Edition 6.5.2 now supports Red Hat Enterprise Virtualization 3.1, along with VMware vSphere 5.1 and Microsoft Hyper-V 2012. To evaluate new products. I do not like to advise products to customers, I have not seen and tried myself. To install and configure products to learn and prepare for certification. To test upgrades and configurations, I don’t want to perform in a production or customer environment. To run nested ESXi severs (I really love that option). At a certain moment you need to download products from VMware, the other thing is you need license keys. Luckily, you can install and run ESXi and vCenter Server in evaluation mode. That means, during the installation, you can skip the option to provide a license key and after finishing the installation, you can run the product for 60 days. However, some products (vCloud Director, vCloud Networking and Security and vCenter Chargeback Manager) do need a license key and do not offer the option to run in evaluation mode without a key. After signing up for the evaluation, you will receive the license keys with a fixed expiration date, 60 days in the future. At the end of 2012, I decided to prepare for the VMware VCP Cloud certification, so I started an evaluation of the Cloud products and downloaded the Exam Blueprint. For some reason the 60 days flew by (unfortunately, it is not always lab time, there is job, a Mrs. and a social life) and I was not prepared to go for the exam and definitely needed some more “Evaluation” time. As far as I know, there is no way of extending the evaluation using the VMware account you used 60 days earlier. My only option was to sign up with another email account and receive license keys for another period of 60 days. Somehow, I have the feeling this is not the way to go. Also renewing products in your lab costs a lot of time and there’s always a risk that products have reached the 60 days period just when you need them. Before I can install a vCenter Server, I first need to install a Windows Server. My Microsoft MSDN subscription entitles me to download the installation media and license keys. OK, a MSDN subscription does cost a few bucks, but you can freely download and install a lot of products for evaluation purposes, as long as you pay your subscription. Another nice example is Veeam, vendor of some cool tools for your VMware or Hyper-V environment. Since a few years in the month December, you can pick up a NFR license for 2 CPU and run Veeam B&R. Years ago, VMware had a similar program called the VMTN program. In November 2011, Mike Laverick started a post on the VMware communities to Bring Back the VMTN program. Almost 18 months later, this post is still getting updates from communities members. The question is, will the VMTN program ever return? So what is your opinion concerning this topic? As always, I welcome your comments. Latest update, per 31-8-2013. Read this contribution by Chris Wahl on the VMTN subscription. You are currently browsing the Adventures in a Virtual World blog archives for May, 2013.